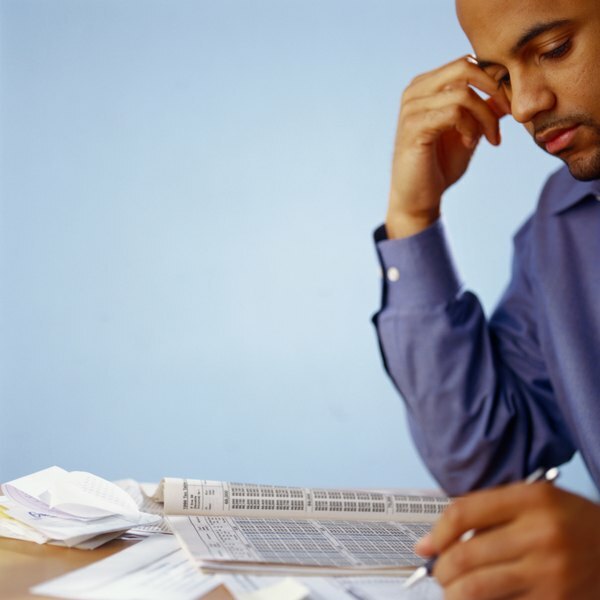 Your taxable income is based on your specific financial circumstances. Not all earnings are taxed. If you claim deductions, these can lower your taxable income, and the adjusted number after you've claimed all of your deductions is your federal taxable income. There's no specific formula for calculating your taxable income. Instead, your taxable income depends on your tax deductions, filing status and the standard deduction. Your tax bracket is calculated based on your adjusted income after deductions. After you've determined your tax bracket, multiply the percentage by your adjustable gross earnings to get your total federal tax liability. You can then deduct any payroll taxes you've paid from this number. Tax credits lower the amount of taxes you have to pay, while tax deductions lower the amount of taxable income you have. You can deduct items such as retirement contributions, alimony, certain business expenses and certain medical expenses. If you made $30,000 and claimed $7,000 in tax deductions, your taxable income is $23,000. Your tax bracket is based on this number, and you'll have to pay any money you did not pay in payroll taxes. To calculate your tax bracket, tally the total amount of your deductions and deduct this number from your gross earnings. The IRS offers a standard deduction that reduces your taxable income even if you have no other deductions. You can choose between the standard deduction and itemizing your deductions, and you should not itemize your deductions if they are less than the standard deduction. For 2013, the standard deduction is $12,200 for married couples filing jointly, $8,950 for heads of household and $6,100 if you are single or married filing separately. Deduct this number from your gross income to determine your taxable income if you are claiming the standard deduction. Your tax bracket determines the percentage of your income you'll pay in taxes, and is based on your adjusted gross income. For 2013, married taxpayers filing jointly pay 10 percent if they make less than $17,850. If they make between $17,851 and $72,500, they pay $1,785 -- which is 10 percent of $17,850-- plus 15 percent of all income over $17,850. Other tax brackets follow the same formula of paying a percent of the previous tax bracket's taxes plus a percent of all earnings over the highest amount in the previous tax bracket. Taxpayers making between $72,501 and $146,400 pay 25 percent of all income in excess of $72,500. For taxpayers making between $146,401 and $223,050, the tax bracket is 28 percent of all earnings over $146,400. Taxpayers in the 33 percent bracket make between $223,051 and $398,350, and tax brackets in the 35 percent bracket make between $398,351 and $450,000. The highest tax bracket is 39.6 percent, and married taxpayers making in excess of $450,001 pay this rate. Single taxpayers and married people filing jointly have different income-based tax brackets. If you are single, you'll pay 10 percent if you make less than $12,750 and 15 percent if you make between $12,751 and $48,600. Single taxpayers making between $48,601 and $125,450 pay 25 percent, while taxpayers making between $125,451 and $203,150 pay 28 percent. If you make between $203,151 and $398,350, you'll pay 33 percent, and if you make between $398,351 and $425,001, you'll pay 35 percent. If you make more than $425,001, your tax percentage is 39.6 percent. Internal Revenue Service: How Much is My Standard Deduction?